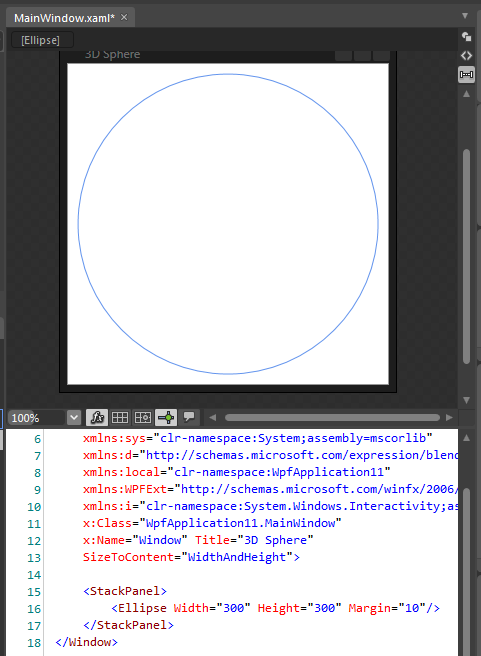 You can use a radial gradient in WPF to create a 3D effect on a shape. 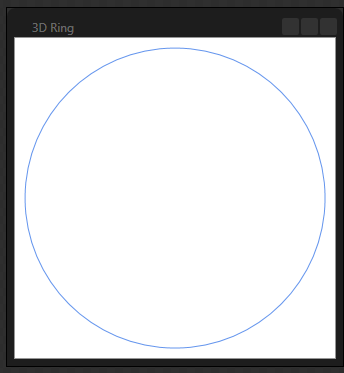 In the example below, we set up a gradient on a circle (Ellipse shape) to make the circle look like a 3D sphere. 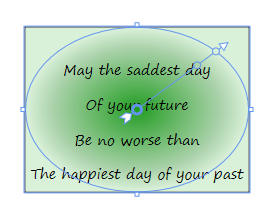 Start by drawing a simple circle (Ellipse). 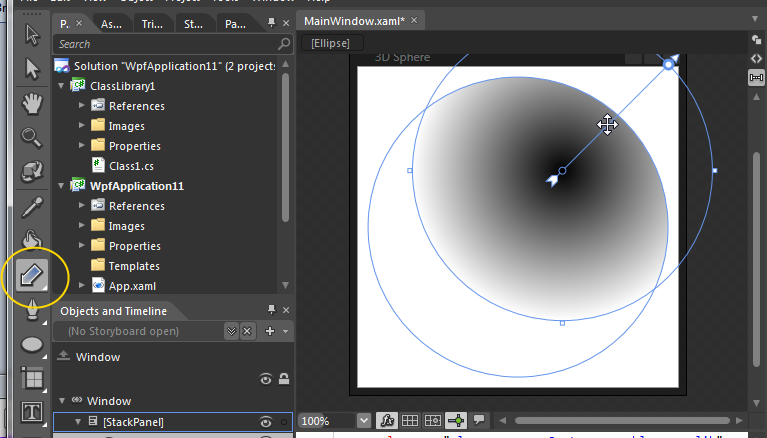 Now specify a radial gradient for the Fill property. 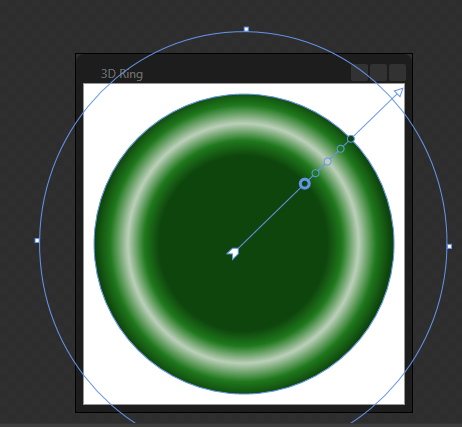 Next, click on the Gradient tool and then slide the radial gradient off-center, relative to the ellipse. Finally, adjust the gradient so that the center starts out white and fades to a darker color at the edge of the gradient. 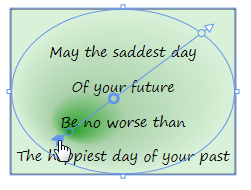 You can also enlarge the gradient so that its outer edge lines up with the outer edge of the ellipse. You can define an opacity mask on a user interface element to cause the opacity to change across the element, depending on the mask. 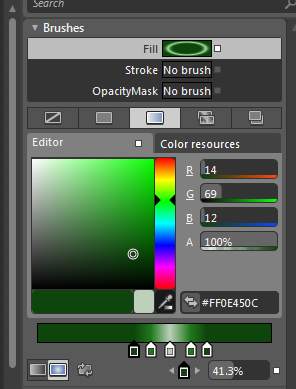 The opacity mask is a brush, where the alpha channel at each point in the brush is used to define the opacity at each point on the element. 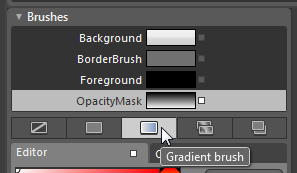 You will typically use either a linear or a radial gradient for an opacity mask, since a gradient brush allows you to create a range of alpha values across the brush. 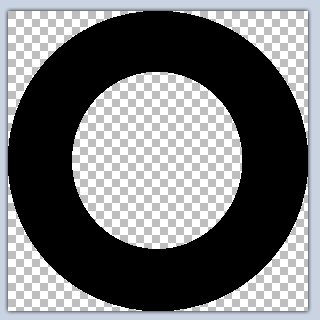 You can use a radial gradient brush as the opacity mask to fade out the edges of a user interface element. 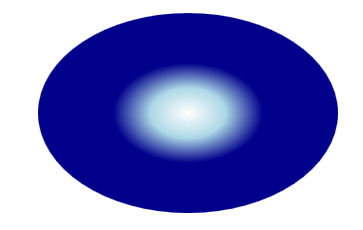 To start with, select a gradient brush for the OpacityMask property. Change the gradient to be a radial gradient. 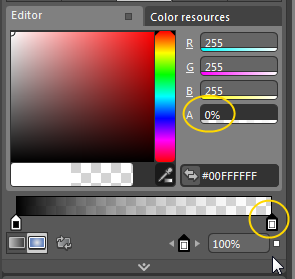 Select the outer gradient stop and set its alpha value to be transparent. 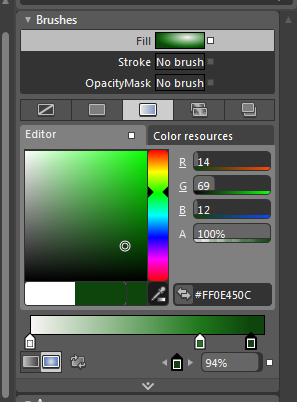 Finally, adjust the gradient stops to get the effect that you want. 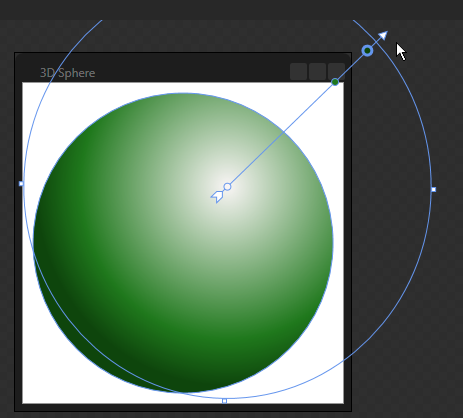 You can use the Gradient Tool in Blend to adjust a radial gradient, as well as a linear gradient. 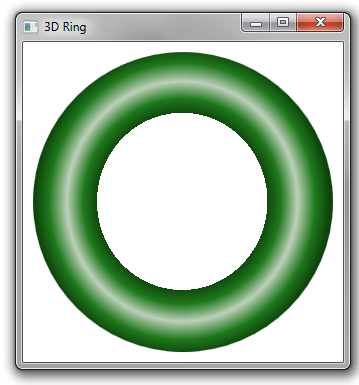 Below is a radial gradient that transitions from a darker green at the center of the region to a light green at the outside of the circle. 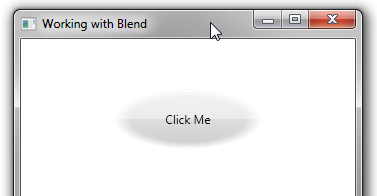 When you click on the Gradient Tool, you’ll see an arrow appear in Blend that represents the gradient. 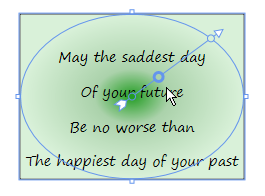 As with linear gradients, you can click and drag any of the gradient stops, represented by the small circles on the arrow. 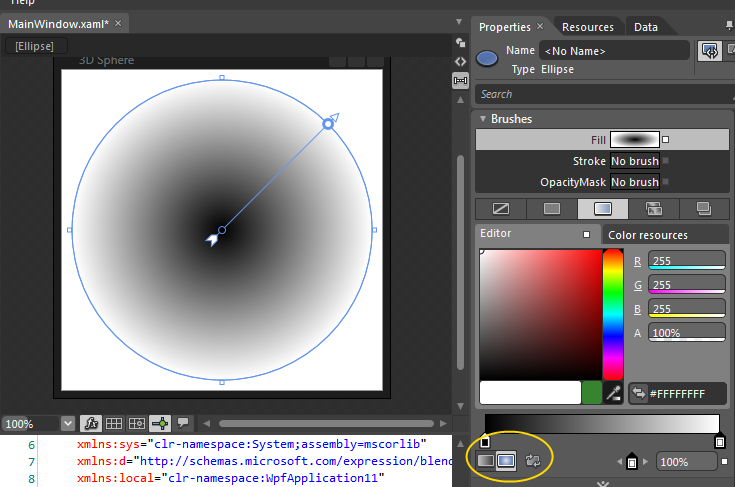 This will change the point on the radial line at which the gradient achieves the color specified for that gradient stop. 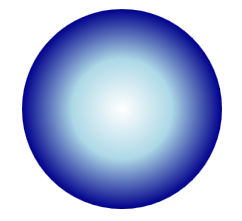 The origin of a radial gradient defaults to the center of the control. You can change this origin by dragging the tail end of the arrow. By default, the focal point of a radial gradient–the spot where the gradient starts–is at the center of the control in which it’s located. 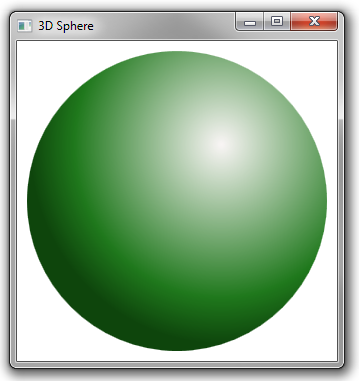 You can specify a different focal point using the RadialGradientBrush.GradientOrigin property. 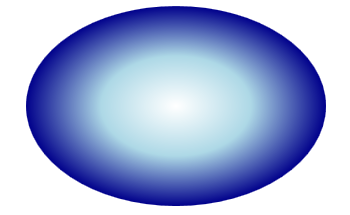 The GradientOrigin property specifies the start of the gradient in 2D (X,Y) space, with X ranging from 0.0 (left side of control) to 1.0 (right side) and Y ranging from 0.0 (top) to 1.0 (bottom). 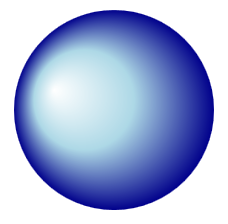 Here’s the same gradient as above, with the origin at (0.2,0.4).